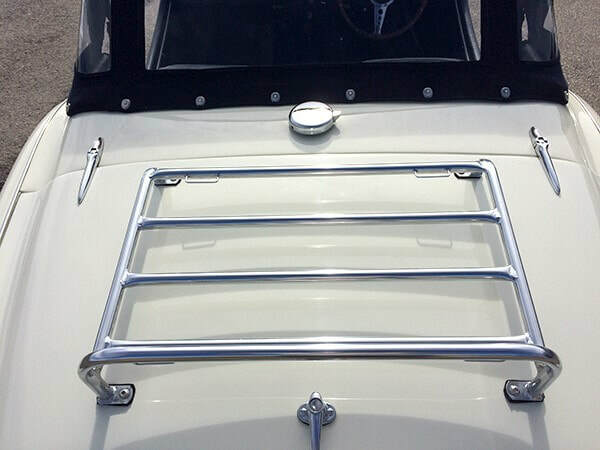 We have a choice of three styles of luggage rack available for the Triumph Spitfire Mark 4 & 1500. 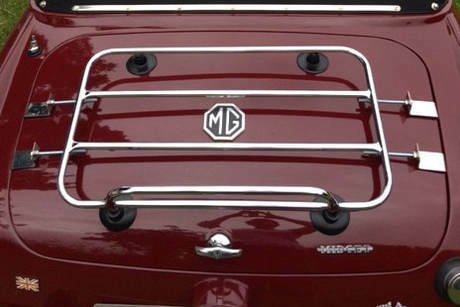 Premium specification Classic Style boot luggage rack with reversible bespoke fittings suitable for the Triumph Spitfire Mark 4 & 1500. Very high quality temporary (removable) Classic Style luggage rack for the Triumph Spitfire Mark 4 & 1500.